2019 is the year of german porcelain factory KAHLA Thüringen Porzellan. 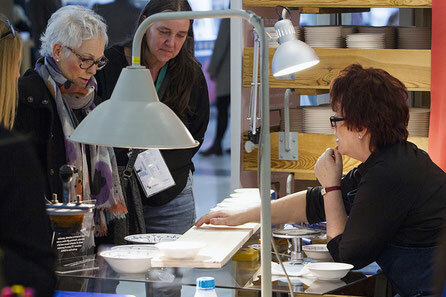 This Jubilee was the main topic of their fairstand at Ambiente Fair 2019 in Frankfurt am Main. A wall illustration was designed to give a short introduction into KAHLA's History and presenting their newest innovations. 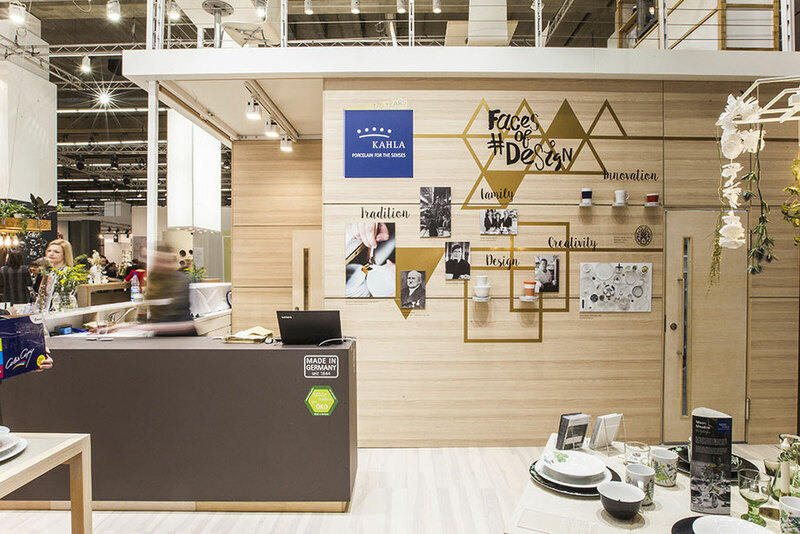 Another, smaller Fairstand with 20qm was planned to show KAHLA's expertise in 175 years of porcelain production and handicraft. 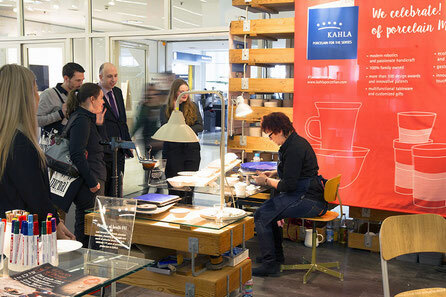 Visitors could watch live porcelain painting and also decorate their own plates. Wooden boxes from the factory in Thuringia where used to set up a wall and function as furniture to create a creative factory atmosphere.